Over the past couple of years, meal-kit delivery services have been gaining popularity as a solution for busy weeknight chefs who want the satisfaction of cooking their own meals without the trouble of actually choosing a recipe and shopping for the ingredients. 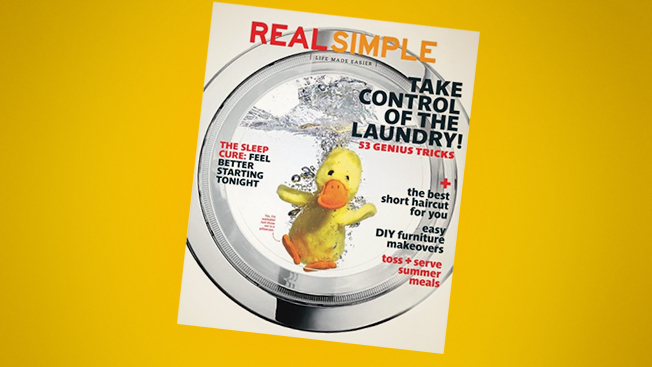 Now, Time Inc. brands Real Simple and Cooking Light are teaming up with Plated, a New York-based service, to create ready-to-cook ingredient boxes based on the magazines’ recipes. Real Simple will kick off a test run with Plated based on the "Month of Dinners" feature in its September issue, just in time for the back-to-school season. Meal kits for 20 of the recipes are available now on Plated.com and will be delivered to consumers around the country—its delivery range covers 90 percent of the U.S.—next month. In December, Plated.com will begin offering meal kits based on recipes from the "Start Your Year Off Light" feature in Cooking Light’s January/February 2015 issue. All of the recipes used in the Plated partnership were created by the magazines’ culinary teams before being tested at Plated's kitchens. "We got really exited about the Real Simple and Cooking Light partnerships because they're established brands and they've been putting out fantastic recipes for decades now," said Plated co-CEO and co-founder Nick Taranto. "What we saw in the marketplace is that there are a lot of traditional media houses that are trying to figure out how to make their experience more multichannel, so we're excited to bring their recipes alive." Plated, which launched in 2012, has been one of the most successful companies to enter the growing meal-kit delivery category and now delivers several hundred thousand meals per month, according to Taranto. Just last week, Plated announced it raised $15 million in Series A funding from investors including Greycroft Partners and Lerer Ventures. While the emphasis on fresh ingredients might be a new spin on the concept, this isn't the first time a magazine brand has gotten in on the food business. Last year, Cooking Light debuted a line of prepared meals at BJ's wholesale stores, while Condé Nast's Self has its own line of frozen foods.